Loving awareness, mindfulness, and compassion have enormous power to benefit every human life. These time-tested tools of Eastern psychology are widely supported by modern neuroscience in more than 3,000 studies and research papers from the past 25 years. With The Psychology of Loving Awareness, master teacher Jack Kornfield invites professionals and meditators alike to join him in a retreat-like setting in San Diego, California to discover the transformative practices from Buddhist psychology that are now being applied in therapy, education, medicine, business, law, athletics, the arts, and in the personal lives of millions. When we see the spirit of a leader like Nelson Mandela, the Dalai Lama, or Aung San Suu Kyi, we come to realize what is possible when we meet the world from a place of loving awareness. By cultivating our capacity for balance and attunement, we can experience joyful embodiment of inner liberation, no matter what the outer circumstances. Join us for two days of powerful practices, heartfelt reminders, clear teachings, personal skill-building, and clinical tools—shared in a warm, retreat-like setting with a loving and open community. We are pleased to have this event at the beautiful Hilton Del Mar. While rooms in the Hilton have sold out, there are many wonderful lodging options in the area. To find local hotels, click Lodging Nearby at the link below. Parking will be available for a discounted rate of $10 per day at the Hilton Del Mar. 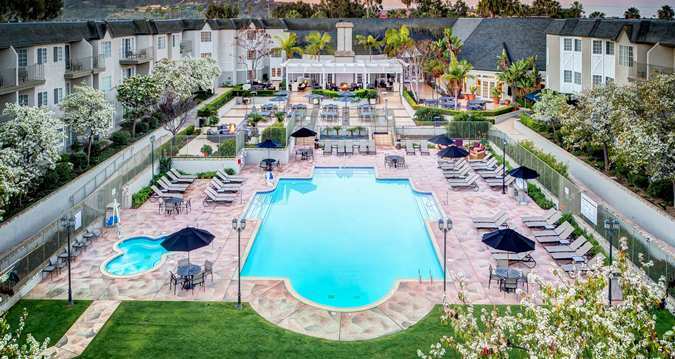 The Hilton Del Mar is 22 miles to the north of Downtown San Diego and the San Diego International Airport. To foster community building and a more cohesive experience, we encourage you to consider dining with your fellow attendees at the Hilton Del Mar. See the Details below for lunch options onsite. Register online or at the door—space at the venue is limited, so we encourage you to reserve early. This event is ticketless, and you will need only to check–in at the door with your name or the name of the person who purchased your admission. Doors open each day at 9 AM. Please arrive early to reserve your seat. There will be at least two 20-minute breaks during the event and a 1.5-hour lunch break each day. You may bring a notebook, journal, or small cushion for your comfort during the event. A private lunch buffet will be offered onsite for workshop participants. Enjoying lunch with your fellow participants offers an opportunity to remain in the retreat-like space created by the workshop. Participating in the group lunch will also help you deepen your practice through eating meditations and mindful interactions with the community. Each lunch will feature gluten-free and vegetarian options, and is available for purchase with your event registration for an extra $15. Alternatively, you can make your own plans to go offsite for lunch at local area restaurants. An option to add lunches to your admission will be presented when you register for the event. Please note that this event is being recorded in audio format. The recordings may be used by Sounds True for the creation of future products. By purchasing, attending, and participating in this event, you acknowledge that Sounds True is permitted to broadcast, record, and publish your name, likeness, voice, and statement(s). These recordings are owned solely by Sounds True. The CE credits offered by Sounds True are generally valid for counselors, social workers, and psychologists. Learn more about approved states and professions. © 2015 Sounds True Inc.